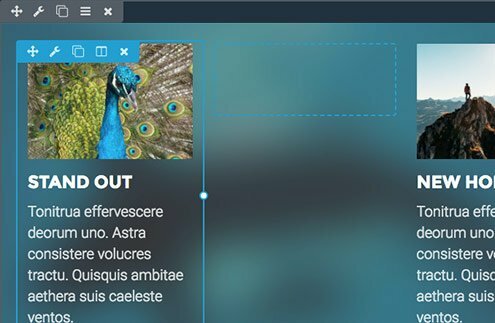 Easily Build Beautiful WordPress Sites with a Drag & Drop Builder. Simply put Beaver Builder is the best page builder tool for WordPress and it comes in two flavors. The Theme or the Plugin. Personally, I prefer the Plugin because I feel it is best combined as a page builder within the Genesis WordPress Theme. With the Beaver Builder plugin there is a free version called Beaver Builder Lite which contains only the very basic features. The full version which is available with different licenses starting with the Standard License though the this can be used on as many sites as you like. The theme is very popular for people who don't already have a theme framework preference or those that aren't looking for specific benefits of a theme with a long track record. We use the Genesis theme because it contains clean code, is fast loading and search engine friendly. It is also compatible with the majority of the major WP plugins out there we developers tend to use on a regular basis. Some people in the web dev world feel this tool is only marketed towards novices to WordPress because the tool provides ease of use a very clean and user-friendly UX and allows beginners to quickly design and develop an attractive website. However, I think this is just one aspect of the tool. Beaver Builder is also a fantastic tool for developers for a few reasons. Firstly it allows you to deliver a website to an end user that is much more user-friendly and gives them a lot more control over their content, something that is vital for SEO in the modern world of web marketing. These tools also allow developers to create custom modules specific to certain projects or to provide to lots of customers in addition to many basic and advanced modules that come included covering everything from WYSIWYG content editors to galleries and much more. If you like using drag and drop design and layout interfaces then this is sure to be a hit! A lot of reviews compare Beaver Builder with other page builder tools such as Divi, Elementor and Visual Composer, however, BB is far more efficient, functional and has an excellent graphical user interface. While I am still a fan of the default WordPress editor and use it on certain pages on a website it does limit the users' ability to create multiple columns and unique layouts and landing pages on a page by page basis. It also doesn't offer a very good front end editing and publishing experience whereas with Beaver Builder you literally see your web page come to life, something that I find helps reduce procrastination and helps inspire creativity. 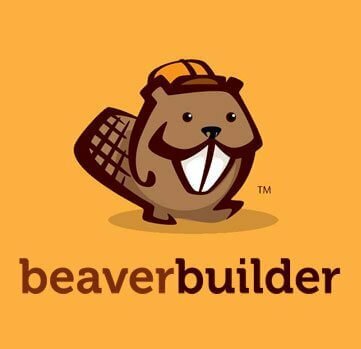 If you are new to using Beaver Builder it may be best to get familiar with the standard plugin, however, another great benefit is the range of different add-ons or extensions you can add to Beaver Builder for even more awesomeness. 3rd party plugins that provide extended control and functionality. Custom Modules allow you to have features like a Timeline area, Call to Action (CTA), accordions, forms, sliders, testimonials and many many more flexible and customizable sections you can drag and drop into any page. Many other powerful plugins like the WP-Types Toolset have also built in compatibility to work with Beaver Builder, this means you can use Views shortcodes within your beaver builder design or template to automatically pull custom fields and display them anywhere on your page. Why not extend it further with WooCommerce or Genesis hooks and insert a row site-wide to any part of your design, even outside of the content area. While there are some free add-ons for Beaver Builder the majority of the top quality tools are premium add-ons however these I feel are affordable and worthwhile to massively expand the capabilities of Beaver Builder. Beaver Builder Powerpack - Another library addon which expands on the stock functionality and modules provided by BB's core plugin. Beaver Themer - Allows designers and developers to build Beaver Builder powered themes from the ground up. In addition to the awesome add-ons, page templates, row templates and extra modules, if you are a developer you can even develop your own custom modules to sell or just use for all of your client projects making it very flexible. Fear not, if you don't have the PHP skills to create your own custom module for Beaver Builder you can always hire someone but you may not actually need your own bespoke modules since the tools provided by default are more than sufficient. As mentioned above, there are several different WordPress themes that are tested and compatible with Beaver Builder Plugin. Beaver Builder Theme - Of course, the most popular option is to use the Theme developed by the same company for the purpose of using it with BB Plugin. Genesis - My favorite Theme from Studiopress though is a premium plugin at an additional but is very flexible and powerful. GeneratePress - Another popular third-party theme that comes as a free version and a premium version for $39. You can always start with the free Theme and then upgrade to premium. Optionally you can also add Beaver Themer if you plan on building a more complex WordPress website perhaps using WooCommerce or creating your own custom post types that you need to create templates for. Another fantastic plus point of Beaver Builder is the updates. Every month there are updates to all of the associated plugins adding new features, designs and much more. The monthly email keeps you in the loop ensuring you are making the most of the latest tools available and have access to new learning materials and Beaver Builder Tutorials. These are all very good signs when it comes to choosing a plugin that will be fundamental to one or all of your WordPress sites. Some of my favorite additions in the past few months are the page and row templates. I have been in contact with Beaver Builder support team on several occasions and they have been pretty prompt and very helpful and conducive to my ideas and feedback which is another thumbs up for a plugin development company. On reviewing Beaver Builder, in terms of stars it gets 5 stars across the board, usability, value for money and support. Beaver Builder has finally revolutionized the way web designers and WordPress website admins customize and improve content layouts. Making content that converts far better than the old boring single column of text with the occasional image. I highly recommend watching some Videos on how the tool works to get a good feel for the user interface and workflow. I am confident you won't be disappointed when you have tried the ultimate drag and drop builder for WordPress for yourself! The standard plugin option is just $99 and can be used on an unlimited number of sites. If you just used it on two sites that would be $50, if you build sites or want to learn how to then 5 sites built and that is $20 per site. It quickly becomes very good value for money if you are creating lots of websites or run/manage multiple websites of your own. For the same package but including the Theme the price is $199 which I still feel is good value for money but if you already have a theme framework OR want to build the perfect WordPress website then you are better off with the plugin. This is the best way to build a WordPress powered website or blog in 2018 hands down! Start using the most powerful and flexible page builder plugin for WordPress and bring your content to life!